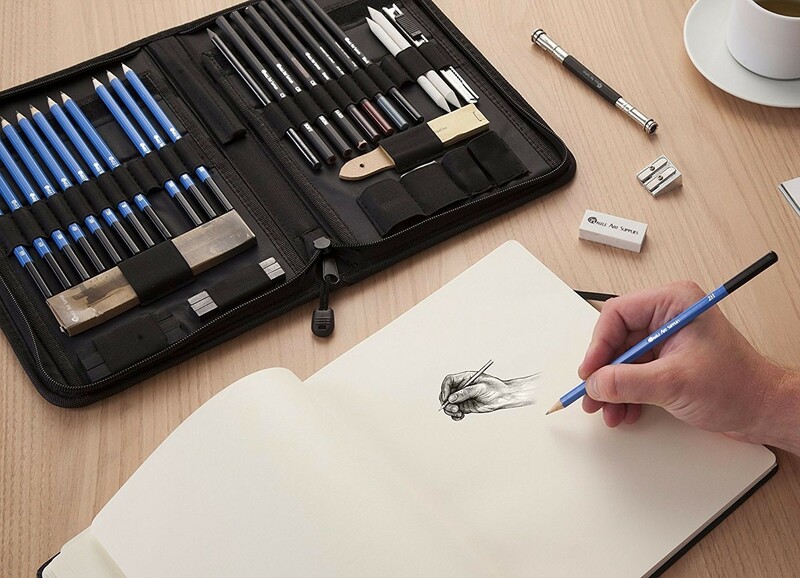 Whether you're a beginner or a professional artist, the right art supplies can truly make a difference in the quality of your work. 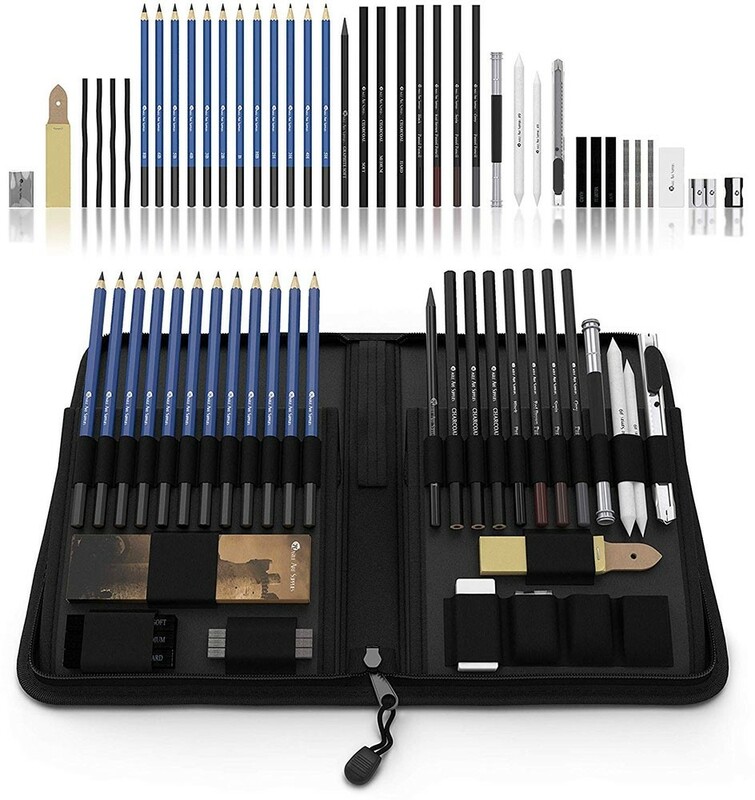 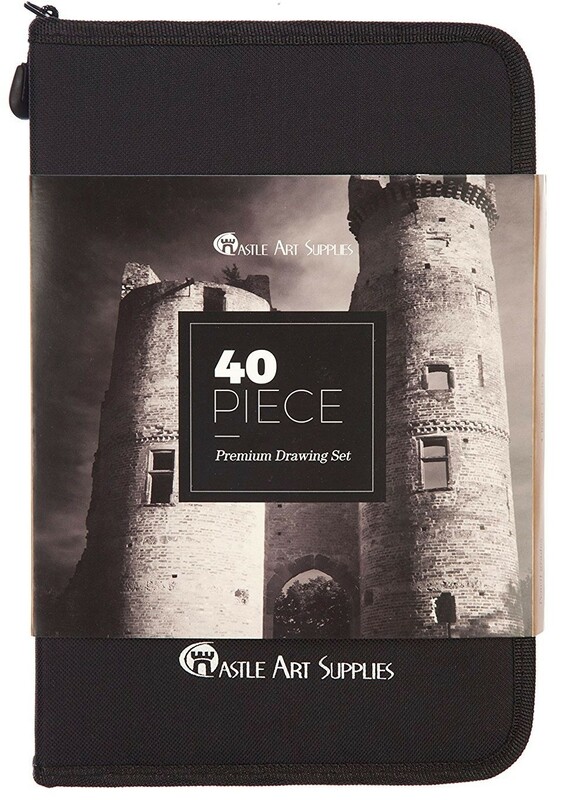 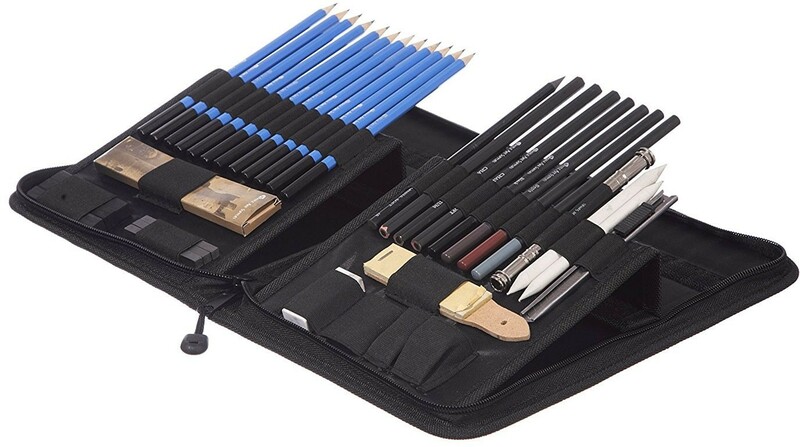 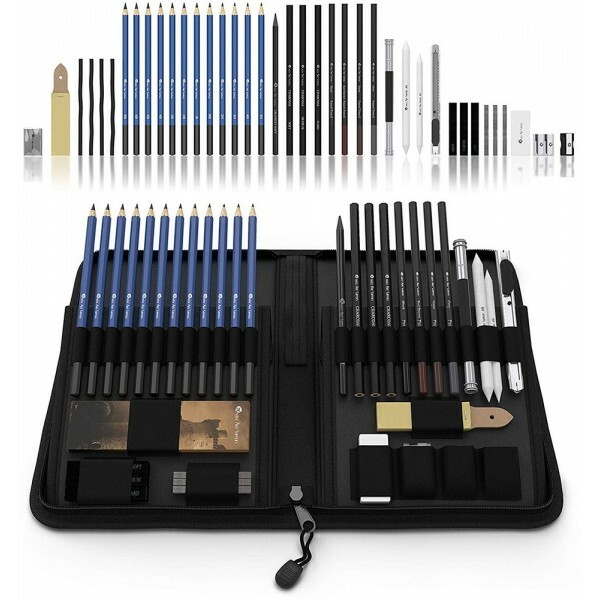 The 40-Piece Drawing Pencils and Sketch Set from Castle Art Supplies is packed with everything you need to go from basic outline to highly-detailed masterpiece, this travel-friendly art kit contains all the essential graphite, pastel and charcoal pencils to make drawing, shading, blending and sketching efficient and gorgeous. 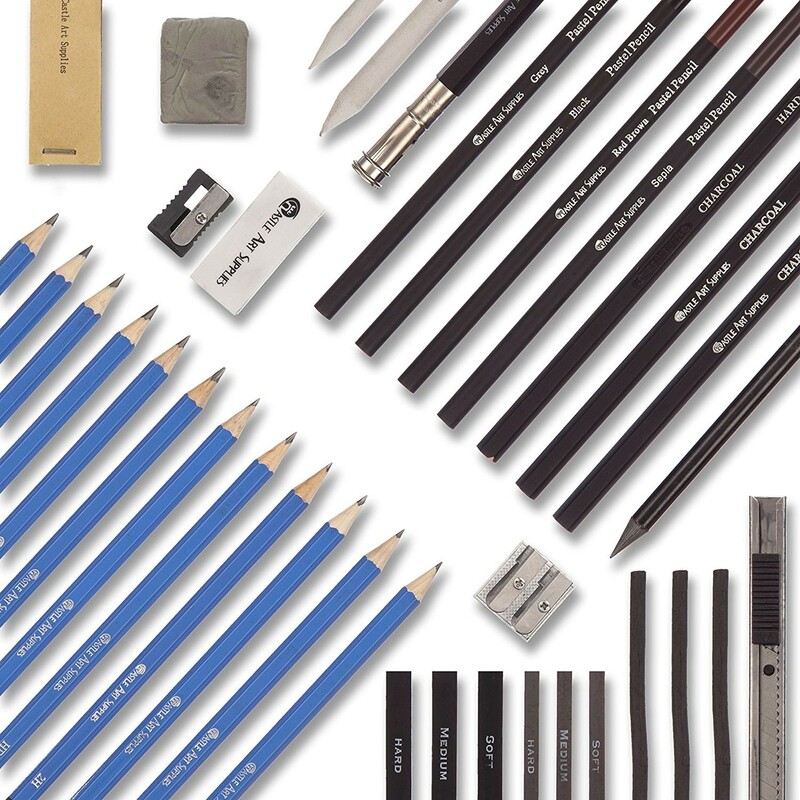 This set includes 12 graphite pencils, 4 pastel pencils in different shades, 3 charcoal pencils (soft, medium, and hard), a soft graphite sketching pencil, 2 paper blending stumps, a pencil extender, an art knife, 4 charcoal willow sticks, 3 charcoal sticks, 3 graphite sticks, a plastic pencil sharpener, a two-holed pencil sharpener, a plastic pencil eraser, a kneaded charcoal eraser, and a sandpaper block, all tucked in a handy carrying case with a pop-up stand that makes it easy to grab the tool you need.